Excellent quality and fit. I'm a 44 so ordered a 44 and the fit is perfect. really comfortable. I ordered a size 40 and was a bit concerned upon seeing the 'S' label inside. However, although snug it fits absolutely fine, looks good and has enough pockets for all those bits and pieces we tend to carry i.e. phone, wallet, keys, earplugs etc. I haven't worn it on the 'bike yet so can't comment on riding comfort but am fairly confident it will be absolutely fine. 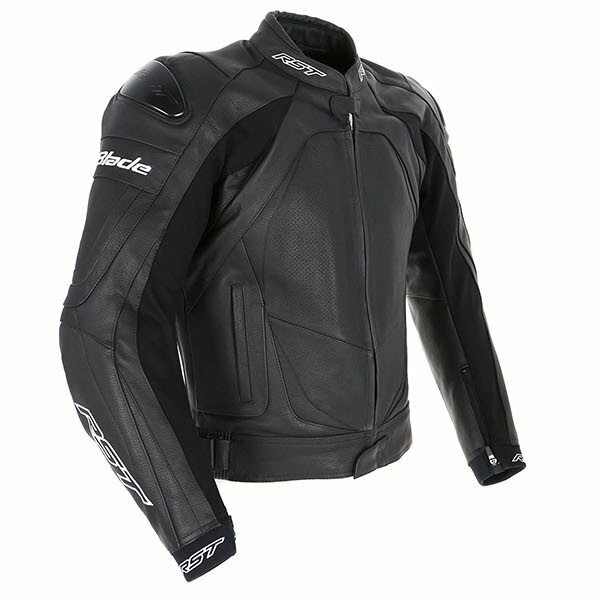 I ordered this jacket after wishing to have a leather riding jacket in my collection. I already owned 2 other styles of jackets. I was blown away by the price, styling, quality of look, and further impressed by reviews. Before ordering I sent an email to confirm the fit. I ordered 1 size larger (I got a 46). I have a 38" waist and approximately a 43" chest. I ordered this from Canada and couldn't believe the price, I had my doubts due to the lower price. The jacket arrived and when I tried it on it fit like a dream. I was very impressed with the quality and look of the jacket. I would definitely buy this again. Having bought online was unsure what the fit would be like but it was perfect ! Like a made to measure. Very good quality. The leather is soft, and my son says it's the most comfortable jacket he's worn . Can't fault it. The leather was so soft I didn't even require a breaking in period. I even wore the jacket the other day at 6°c and was surprisingly warm. Have also purchased the RST jeans zip connector for this jacket, which is a really good buy. I was slightly nervous of the size when I ordered this product, but I had read some reviews and they all said go with one size up from your normal jacket size, so that's what I did and it is a perfect fit. Great quality all over, very happy. The zips all work and close the right gaps and the feel is comfortable straight out of the box. 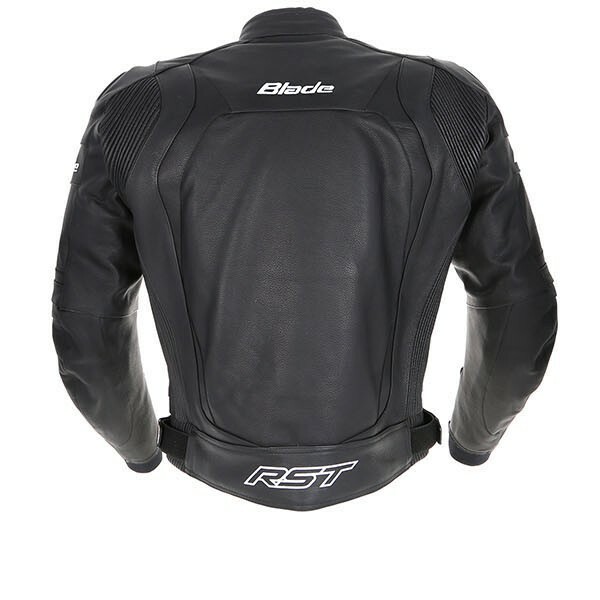 RST have used the same block with many upgraded areas, including a full length side stretch panel to the jacket, this gives more flexibility and helps with the fit of the jacket. RST have also added panel-in-panel ventilation for improved seam strength and inspired by their racing leathers they have built in TPU shoulder sliders to aid with collarbone protection. 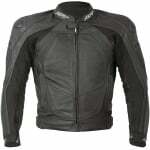 This truly is a perfect all-rounder if you are after a good looking leather jacket for summer. 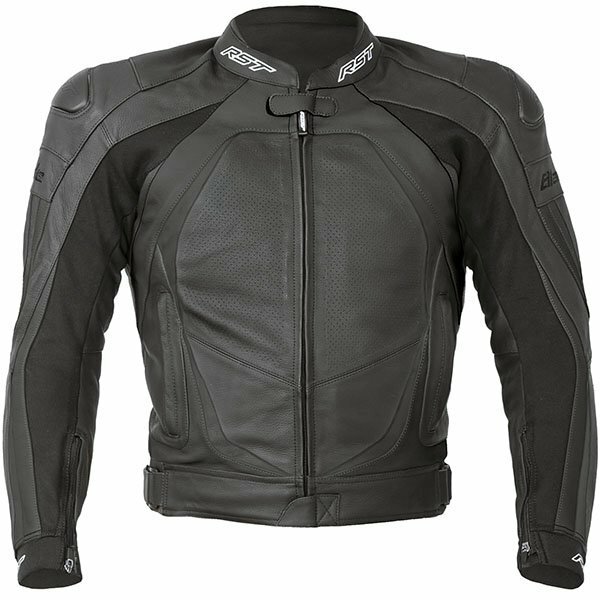 It's no wonder that the RST motorcycle clothing range is now one of the most popular ranges of bike kit in the UK. Their continued investment in racing, with a particular focus on BSB, has meant a constant development of product, which has translated directly to their road range. With the help of some of the biggest names in the BSB paddock, such as Tommy Hill, John Kirkham and Stuart Easton, RST have pushed the boundaries of what can be delivered through a brand that remains amazingly good value for money. It also helps that the Derbyshire based design team are passionate about what they do; rigorously testing all RST clothing themselves. 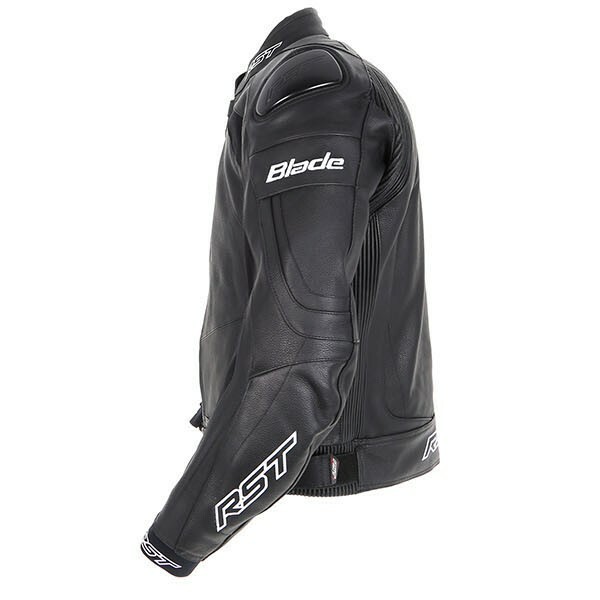 The team insist on riding all year round, despite the British weather, in order to put the RST textile range through its paces, and the fact that the team are keen track day enthusiasts, provides helpful real world testing of the RST leather range too. Their continued passion for design and innovation is highly apparent in this year's range and when you add to the mix the constant stream of positive feedback from our customers, it's easy to see why we have always covered the entire range of RST motorcycle clothing, and will continue to do so. do all rst trousers and jackets zip together i.e can you mix and match a 2 piece suite? thanks, Kevin. RST do use the same connecting zips across all their range. 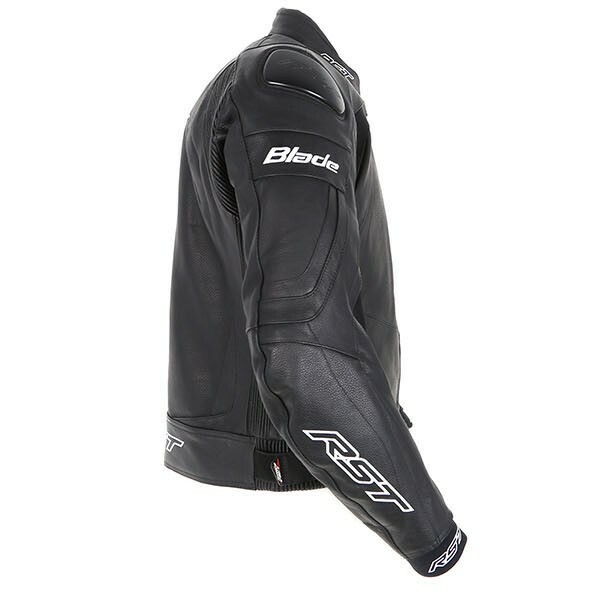 hi im looking at the a RST Blade 2 Leather Jacket but i dont under stand the sizes. if i was to get a 54 what would the chest size be. The number in the drop down menu is UK chest size in inches. Most people find going up one size from their actual measurement works well. I would recommend the 42" jacket if you are a 40" chest. Are the sizes for this jacket in euro or uk? Because if you have UK 56 available I will order one asap! The sizes which can be selected from the 'please select size' drop down menu are UK sizes.